According to Ayurveda it’s best to eat warm food or food that is room temperature. Here’s why: The temperature in the average human stomach is 110 degrees. If you drink iced cold drinks or soup right out of the fridge, it’s like throwing cold water on a fire—your digestive fire, called agni in the language of Ayurveda. This fire is the power behind your ability to digest food and assimilate life experiences. If you want to sustain optimal health or recover from health problems, it’s always wise to protect your agni. That doesn’t mean you can’t enjoy chilled soup recipes. Simply serve them at room temperature, or if you’ve refrigerated a dish, take it out a couple of hours early so that it can warm up to room temp. On a very hot day, I’ll enjoy something that’s a little cool to the tongue, to be sure, but even in 100+ degrees I feel better if I avoid very cold foods and drinks. So find what works best for you. 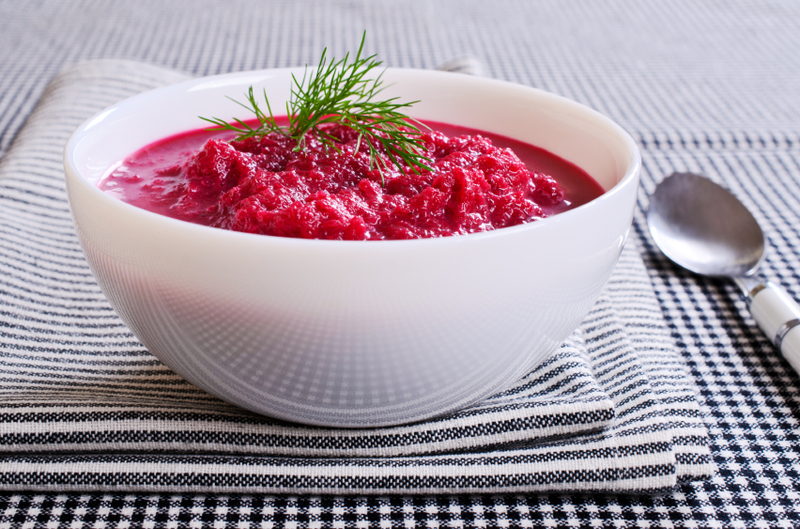 Enjoy this roasted beet and fennel soup recipe at room temperature, chilled, or warm! It’s easy to make on a day when you’re home and have time to roast beets and let them cool, which will take 90 minutes or more. If you’re new to my blog, you might also enjoy another summer favorite: Avocado and Cucumber Soup. 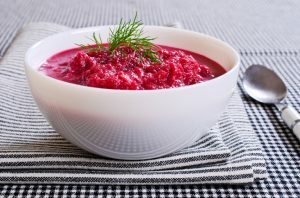 Enjoy your refreshing summer soup!